jakub_at_ care to share the wallpaper on the left? It's nice! 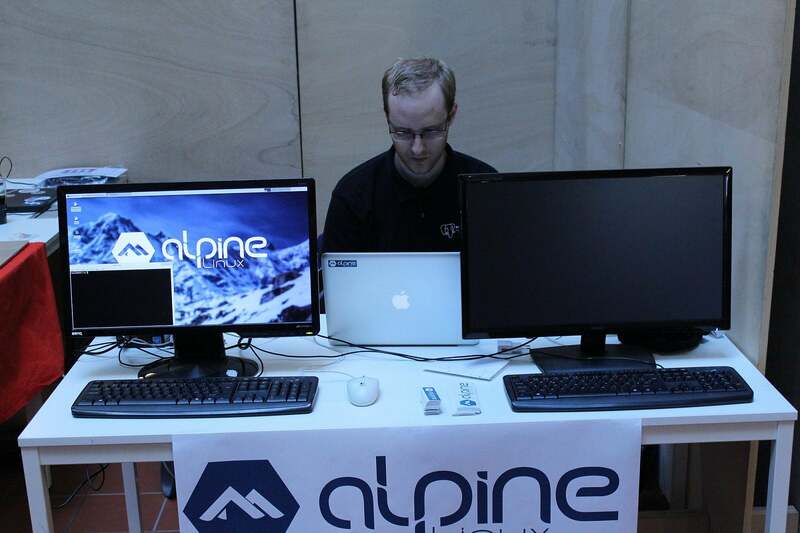 Next message: Jakub Jirutka: "Re: [alpine-devel] AlpineLinux at LinuxDays in Prague next week"
Previous message: Przemysław Pawełczyk: "[alpine-devel] RFC: Changing /var/run to symlink ../run instead of /run"
In reply to: Natanael Copa: "Re: [alpine-devel] AlpineLinux at LinuxDays in Prague next week"
Next in thread: Jakub Jirutka: "Re: [alpine-devel] AlpineLinux at LinuxDays in Prague next week"
Reply: Jakub Jirutka: "Re: [alpine-devel] AlpineLinux at LinuxDays in Prague next week"